Mahindra and Mahindra commands a fair size of the auto market in the country, with the help of premium models such as the XUV500. 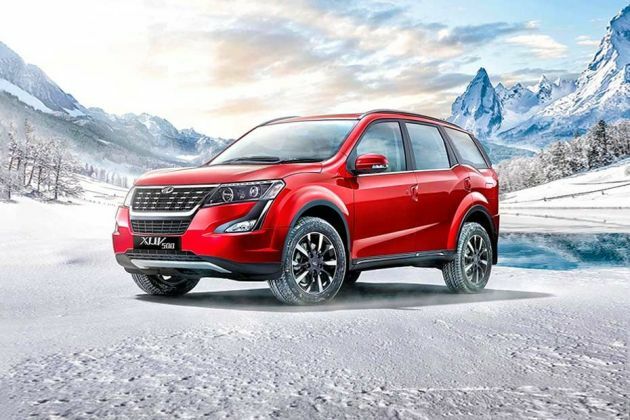 This vehicle has been given a facelift and comes in several variants, among which one is the Mahindra XUV 500 W8 AWD . This variant comes with unique features of its own. Starting off with the heavier features, the model is powered by an mHawk engine. It is diesel run, and can deliver a displacement of 2179cc. For an SUV, it commands formidable performance, touching top speeds of nearly 190 Kmph. The body format remains unchanged for the most part, except for a facelift that adds to the look from the front. An all new front grille with chrome inserts is also a newly added feature for the front. The overall body profile is toned and muscular. It is now available in two new paints, sunset orange and pearl white. As for the inside of the vehicle, it is made for the best comfort a machine could offer. The seats are large and comfortably laid. There are compartments to hold spare things. The upholstery is premium, and the cabin is made with expensive and attractive materials altogether. A premier entertainment system is present for this variant, and it is complete with all the necessary functions for the highest luxury within the cabin. Coming to the last and the most critical field, the vehicle takes care of the safety needs to the fullest. It comes with a well guarded braking system that has firm disc brakes for the front and rear. The suspension is also advanced, ensuring that the vehicle's drive remains stable and harmonious always. In addition to this, the vehicle provides airbags, strong seatbelts, an impact resistant technology, and other advanced aids such as anti lock braking system and electronic brakeforce distribution for the firmest of safety throughout. All put together, this is a vehicle that is sure to win over the highest of acclaim. The body format sees a little change at the front, which makes it look bolder from the front. On either side, the headlights are integrated with all the necessary lighting units. Beneath these are fog lamps, and a highlight of this variant is the chrome bezel around them. The front bonnet is wide and muscular. The side profile is enhanced with the addition of alloy wheels, and bold fenders around them. It also has body colored door handles. The windows are tinted, and this adds to the style of the vehicle. The roof rails also file as a good boost to the vehicle's overall look. The rear of the machine is higher and more toned than the front. The tail lamps are structured wide and long. They are complete with turn indicators and courtesy lights. The cabin sees some revision and much of it adds to the customer pleasure. It has premium black and beige interiors. The seats are wide and are complete with headrests. While the driver's seat has an exclusive 8-way adjustable feature. The seats are covered in premium leather upholstery, building the best aura within the cabin. In addition to all of this, the cabin also provides numerous functions for enhancing passenger satisfaction. A premium entertainment unit sits at the front, incorporated with numerous additional elements for the best ride quality throughout. The air conditioning is great, with ducts situated for the best circulation. This variant provides chrome scuff plates for the first and second rows of the cabin. Icy blue lounge lighting is present as a highlight for the cabin. It is elevated to the best atmosphere with the tinted sun reflecting glass, ensuring a cool and relaxed drive for the passengers. Illuminated key rings also add to the look of the cabin. In addition to all this, this variant comes with puddle lamps, an entry assist lamp, door ajar lamps and mobile charging units for all three rows. The model comes with a massive mHawk diesel engine. It has the capacity to displace 2179cc. Furthermore, it generates a peak torque of 330Nm at 1600-2800rpm, and a maximum power of 140hp at 3750rpm. All of this engine capacity is transferred through a 6-speed synchromesh manual gearbox for flawless transmission. The SUV is sent to a top speed of around 190 Kmph, and allowed to cross the 100kmph mark somewhere around 14 seconds. These are great figures for the size and build of the vehicle. In addition to the great performance, the car maker has also equipped this machine with the best braking facility. Strong disc and caliper type brakes arm the front and rear brakes, ensuring that the vehicle can come to a stop quickly and safely. Furthermore, the suspension is also great with McPherson struts and anti roll bars at the front. Then there is a multi link type with anti roll bars for the rear axle. An electronic stability program with rollover mitigation is present for this variant, meant for preserving the balance of the drive. It also has the standard anti lock braking system and the electronic brakeforce distribution for enhanced stability. It has a premium infotainment system, hosting a range of features from USB to iPod connectivity. It comes with Bluetooth audio for better quality of entertainment. GPS is a highlight feature for the entertainment system. A picture viewer facility is also present. The luxury within the cabin is enhanced with the 7 inch touchscreen at the front. A voice command function elevates the sophistication of the cabin to its highest. In addition to all of this, this variant provides a range of other functions for the best comfort of its passengers. A Mahindra 'BLUESENSE' app is present for the best connectivity within the cabin. It takes care of the safety needs of its passengers with all necessary aids. Tight seatbelts are present for all passengers. It has six airbags in all, two dual airbags for the front passengers, and side and curtain airbags behind. The body structure is made for protection against collision and impact absorption. Side impact beams are present for enhanced protection. Crumple zones are present for additional crash protection. Disc brakes are present on all wheels, ensuring that cornering and stopping is safe and easy. This variant has a hill hold and hill descent control function, elevating safety needs even further. It has an electronic stability program with rollover mitigation, functioning for better stability during the drive. The standard anti lock braking system, together with electronic brakeforce distribution, wraps up the safety needs of the vehicle. 1. Great engine capacity and performance. 2. Attractive exterior build and looks. 1. It could offer more comfort features within the cabin. 2. The safety features could use a boost. Mahindra XUV500 W8 AWD Comfort & Convenience"Push-button start/stop /n Voice Messaging System /n Voice Commands with Voice Recognition & SMS Read Out /n Mahindra BLUE SENSE App /n Micro Hybrid Technology /n Tyre-tronics /n Electronic Steering Lock /n Fully Automatic Temperature Control (FATC) /n Cruise, audio, phone & voice commands on Steering /n Power Windows /n Driver Express-down window /n Remote Tailgate Opening /n One Touch Lane Change Indicator /n Reading Lamps /n Conversation Mirror /n Mobile Charging Points /n Puddle Lamps /n Entry Assist Lamp /n Flexi seat configuration for convenient storage (60:40 foldable 2nd row, 50:50 3rd Row) /n Flat-foldable 2nd and 3rd row seats /n "
Mahindra XUV500 is available in 7 different colours - Opulent Purple, Lake Side Brown, Pearl White, Mystic Copper, Moondust Silver, Crimson Red, Volcano Black.